A diagnosis too big for them to carry. A hope that one day they won't have to. 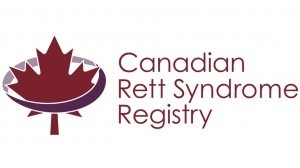 Currently, the Rett Syndrome Society of Alberta is awaiting Charity Status. If you would like to make a donation to RSSA to support local children in Alberta, please contact elana@rettsyndromealberta.org. RSSA membership is important to the connection of families supporting those effected by Rett Syndrome in Alberta. Becoming a member is free and will allow you and your family to access our local workshops, social gatherings and build supportive relationships. Help us spread the word about our children's fight with Rett Syndrome. This pamphlet provides basic information regarding Rett Syndrome to those who are unfamiliar. It can be printed and handed out at community events or attached via email.